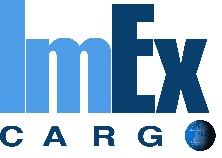 BOSTON, MA – Cargo Sales Agent ImEx Cargo has been nominated as authorized Cargo Sales Agent in Boston opening new drop station in East Boston for AMERIJET. 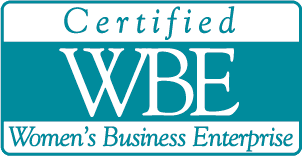 The facility is located just minutes from the Boston Logan International Airport at 480 McClellan Hwy, East Boston, MA 02128. “This new appointment as authorized cargo agent for Amerijet has afforded ImEx Cargo the opportunity to expand its international market reach to now include services for the growing local Hispanic Community in Boston offering daily all-cargo flights by air to the Caribbean, Latin America and Mexico via Amerijets’ Miami Hub. ImEx Cargo has been servicing the international airfreight market for more than 10 years with services to Asia, Middle East and Africa with Cathay Pacific, Gulf Air and Air Transat and with the addition of Amerijet to its current portfolio of clients can now tend cargo services for the growing Hispanic community who ship to the Caribbean, Latin America and Mexico. “We have opened a cargo drop station located in the Horizon’s bonded container freight station featuring 12 loading docks and more than 10,000 square feet of warehouse, to enable more efficient receiving and loading while providing daily direct trucking service and scheduled transfers to Amerijets’ International hub at Miami International Airport” adds Michelle DeFronzo, Owner of ImEx Cargo. We will be accepting international airfreight export shipments at this Boston based station, including general personal and commercial cargo, hazardous material, large or small packages, and barrels, valuable and fragile goods for AMERIJET. Hours of operation are 8:30 a.m. to 5:00 p.m. Monday through Friday. For rates and cargo-specific questions, customers can contact Amerijet’s sales department at 617-716-1023 or via e-mail at sales.bos@amerijet.com.